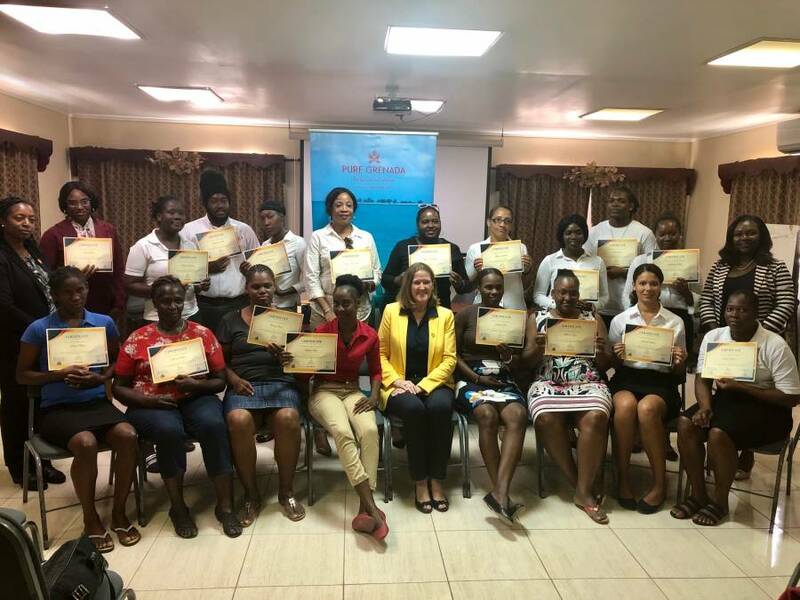 Participants in the Government of Grenada’s Small Hotel’s Training Programme are eager to improve the visitor experience in Carriacou and Petite Martinique after receiving their certificates on Monday. A short ceremony was held at the Carriacou Multipurpose Centre to recognise the completion of training in Customer Service Excellence and Supervisory Management. The training seminars were part of the Government Small Hotels Programme administered through the Ministry of Tourism and Civil Aviation and the Grenada Tourism Authority (GTA) in partnership with the Grenada Hotel & Tourism Association (GHTA) and executed by local company AJ Business Solutions. It is aimed at enhancing the visibility and viability of the sector. In addition, the GTA is hosting a weeklong hospitality training course in Carriacou from 8-12 April at the Multipurpose Centre. Over 20 participants registered for the training and it covers front office skills, housekeeping and digital marketing. Training is being conducted by GTA officers with a focus on practical skills learning.